Atmospheric aerosols influence climate in two ways, directly through the reflection and absorption of solar radiation (in both the troposphere and stratosphere), and indirectly through modifying the optical properties and lifetimes of clouds (mainly in the troposphere) (Shine et al., 1995). 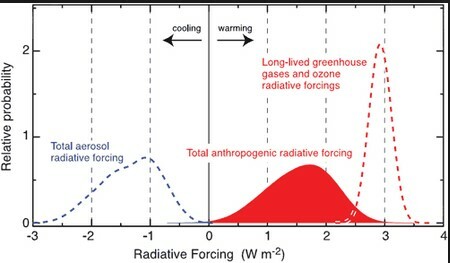 Estimation of aerosol radiative forcing is more complex and hence more uncertain than radiative forcing due to the well-mixed greenhouse gases (see section 6.5) for several reasons. First, both the direct and indirect radiative effect of aerosol particles are strongly dependent on the particle size and chemical composition and cannot be related to mass source strengths in a simple manner, For this reason, anthropogenic aerosols contribute between 10 and 20% of the atmospheric mass burden, yet 50% to the global mean aerosol optical depth . 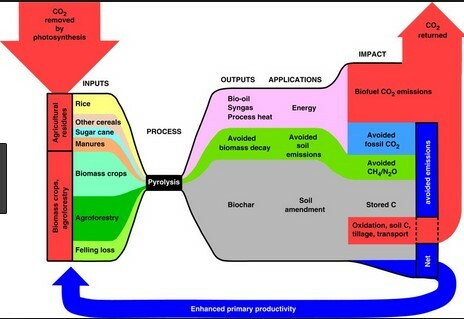 Second, the indirect radiative effects of aerosols depend on complex processes involving aerosol particles and the nucleation and growth of cloud droplets. 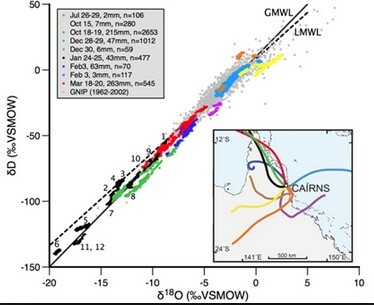 Third, most aerosols have short lifetimes (days to weeks) and therefore their spatial distribution is highly inhomogeneous and strongly correlated with their sources.